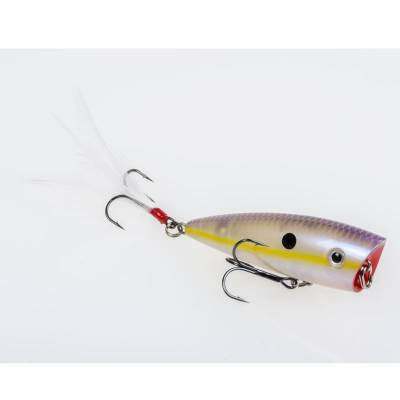 Strike King HC KVD Splash Popper Topwater Lure - Chartreuse Shad. The narrow nose allows an amazing walking action and the cupped mouth produces a substantial surface commotion to attract all the bass. Kevin VanDam has designed this topwater lure with 3D eyes, feathered treble hook and a realistic paint job. 3" length. 1/2oz. Assorted colors available.